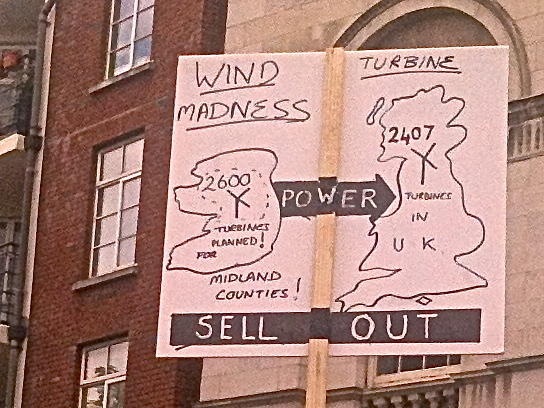 Community groups, particularly in the midlands, have been organising objections to further wind-farm developments, arguing that modern wind turbines are visually intrusive, damage wildlife and create noise pollution. 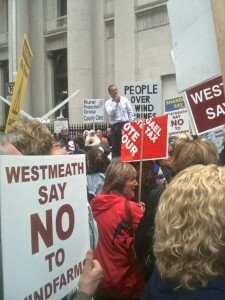 These are important matters but there is a more fundamental objection to further wind-farm development. 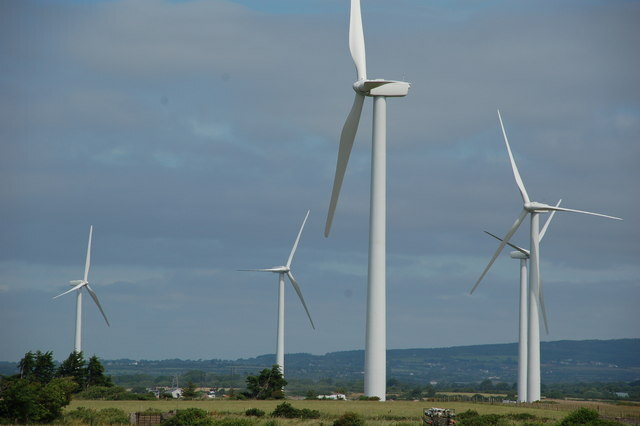 Ireland already has substantial installed wind capacity and it is not obvious that there is an economic case for burdening the system with more. Wind power is unreliable – intermittent generation produces power unpredictably. For every unit of wind capacity, a standby unit must be available, since the wind unit will generate power for only about one hour in three, and virtually the entire wind generation capacity can sometimes be idle.Since the availability of the wind units can be predicted accurately only for short periods ahead, standby must be constantly in readiness – this is costly. 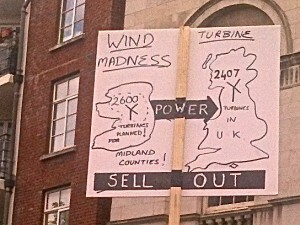 The maximum demand on the Irish system, re- corded in 2010, was just over 5,040 megawatts. Demand has fallen since, and peak demand this year has been about 4,500 megawatts. Low demand (say at 6am on a Sunday during the summer) can be as little as 2,000 or so. There is already installed wind capacity approaching 1,800 megawatts, high relative to peak demand and actually too much to be used safely when demand is at the low end of the range. 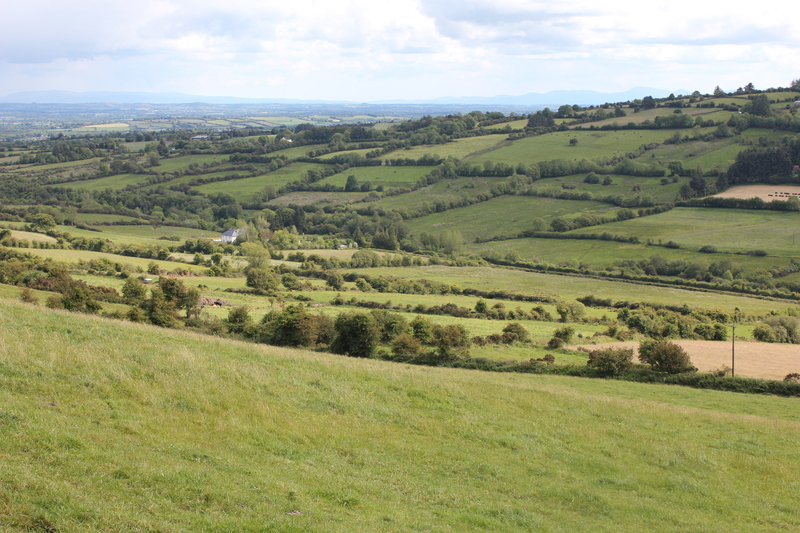 The wind energy lobby has been remarkably successful in Ireland, where government has been persuaded to pursue high targets for wind penetration regardless of cost. Wind lobbyists appear to have succeeded in propagating the view that wind energy is not merely low on carbon emissions, which is true, but also cheap, which is not. Wind energy companies enjoy a price guarantee, whose cost falls on consumers who may not even be aware of its existence. This is a subsidy, plain and simple. But there are additional subsidies which are hidden. The most significant of these is in the provision of grid capacity. Wind produces electricity over a dispersed geographic area, often in remote locations far from the centres of demand, requirration of the national grid. Ireland now has adequate power generation capacity in aggregate, about the only good side-effect of the economic downturn. There would be little need for continuing grid investment were it not for the expanding wind industry. The full costs are not picked up by the wind generator, as they should be, but are spread across all consumers. When the wind blows conventional units (gas or coal) must be switched off, to be ramped up again (sometimes at short notice) when the wind dies down. This is an and results in additional car- bon emissions as well as additional cost. This continual ‘cycling’ of units designed for continuous operation is likely to shorten their operational lives according to engineers, a further source of additional cost. In recognition of the weak case for further wind capacity, given the adequacy of overall generation already in place, the wind lobby has turned its attention to the possibility of exporting intermittent energy to Britain and is seeking government backing for these plans. The various developments being promoted in the midlands are a part of this plan to ex- port power to Britain, where due to be retired over the next decade. In June 2012 the Irish Academy of Engineering produced a detailed report on this issue, available on their website www.iae.ie. The report’s conclusion, in a nutshell, was that the government should do nothing in support of extra wind farms that would in- crease costs for Irish energy consumers or for the Irish consumers. Specifically, the Academy noted that: “At a time when capital for investment in Ireland is so scarce, it is critically important to minimise such investment in public infrastructure such as transmission. 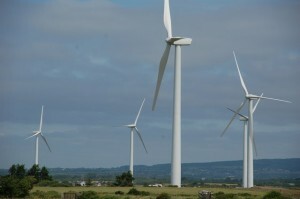 Given that the Irish government implicitly stands behind such investment by state- owned companies such as ESB and EirGrid, it must be realised that such investment competes directly with government investments in, for example, Irish health and education.” The Academy also notes that Scotland has substantial wind resources and the costs of transmission to the in England are likely to be markedly lower than the costs of serving this market from Ireland. If, as the Academy recommends, the would-be exporters have to meet these costs, their projects may not be bankable. That they are proceeding to spend large amounts of money in the midlands suggests that they do not expect to have to pay these costs.